What is Malware Scan? | How to Scan Your Computer? Malware scan is the process of deep scanning the computer to prevent malware infection. It is accomplished using an anti malware software. This process involves multiple tools and techniques to identify malware. To better understand what is malware scan and anti malware, let’s discuss what they are created for exactly. Anti malware software is created specifically to combat threats. These threats are called malware. Short for malicious software. Malware is software that is harmful to the computer. It intrudes the computer covertly. They are often installed through a fake download, phishing email, an infected attachment. Since malware pretends to be a decent program, many users don’t have any idea that the program they have downloaded is malware. Once installed, malware can harm the computer in different ways. It can modify the computer setting, delete valuables, and destroy computer data. Malware also gives hackers access to the computer without being exposed. By doing so, the hacker can control the computer and even use it to commit cybercrimes without the user’s knowledge. That’s how harmful malware is to the computer. To prevent malware attacks, anti malware is created. The definition of anti malware software is a program that fights against malware. It protects the computer and files against all types of malware. It’s the one responsible for providing real-time protection to prevent malware infection. It is the anti malware that performs malware scan on the computer to detect the threats and viruses that could be lurking on the computer. Do you know that AV TEST, a research institute for IT security, registers 350,000 malware everyday? That’s no small number. But anti malware is able to protect the computer against these types of malware. That being said, how is the malware scan process done? We have mentioned earlier that malware scan is the process of deep scanning the computer that involves multiple tools and techniques. This process usually consists of Signature-Based Detection, Heuristics, Sandbox, and Removal Tools. Every time a file enters the computer the malware scanning process starts. The anti malware analyzes the file and collects the file code. Note, malware contains a unique code or signature that is used to identify it. The code collected is sent to a database that contains the virus signatures. In this process, the code is compared to the codes listed in the database. If it matches any of the virus codes or signature, the platform returns with a verdict that the file is malicious. Once identified as a threat, the anti malware, deletes it immediately. This technique is called Signature-Based Detection. It uses a virus signature to identify malware. This helps identify malware easily since the platform contains almost all the virus codes that exist out there. 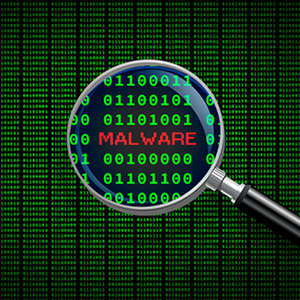 This approach looks for behavioral patterns to identify malware. Rather than using virus codes to determine if the file is malicious, it identifies malware by its characters and behavior on the computer. A file that displays malicious behaviors is contained within a protected cell where it is observed and analyzed. During this process, the contained file has no idea that it is monitored. It thinks that it has full access to the computer. If Heuristics determines that the file’s behavior is 80% harmful to the computer, it’s flagged as a threat and denied. If the file behaves normally, it is released. If a file attempts to access the hard drive or encrypt files, chances are, it is malware. The protected cell the anti malware creates is called Sandbox. This is where all suspicious files are temporarily held. It is a space that separates the suspicious file from the legitimate files in the computer to prevent malware infection. The unknown files are also quarantined here while waiting for a verdict. Lastly, once the anti malware software has identified the threat. It is eliminated from the computer immediately. It is done using malware Removal Tools. These tools are responsible for deleting any trace of malware from the computer. That completes the malware scanning process. Finally, the threats are removed and the computer is safe from harm. With anti malware, the computer is protected against malware. That’s what is malware scan and anti malware for. Want to learn more about anti malware? Click here.